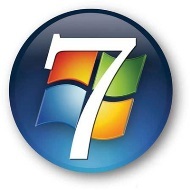 Dell just announced they will have Windows 7 pre-installed on select PC’s. This is a dramatic change in response to Windows 7 compared to Windows Vista. When Vista first launched, Dell absolutely refused to sell PC’s with Vista pre-installed and instead chose the more stable XP Pro. If anything, this is either Dell being strong armed by Windows (which I doubt), or it’s a reflection of a more favorable atmosphere surrounding Windows 7. Watch Dell’s Window 7 tutorials here.